Active MLS listings of homes for sale in the Meadow Woods communities in Kyle follow below. Call Jim at 512.913.1557 if you want assistance. Neighborhood Location: The two Meadow Woods neighborhoods are located on the west side of Jack C. Hays Trail across from the Plum Creek subdivision. 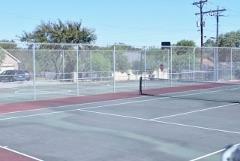 The subdivision is about 20 miles south of Downtown Austin. The entrances are at Meadow Woods DR off FM-2770, and at Sunflower DR off FM-150 west. This table provides a look at real estate activity in Meadow Woods over the past 8 years. 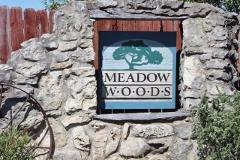 Meadow Woods Kyle real estate market data from the Austin Board of Realtors 1/1/2011 - 12/31/2018. The homes in Meadow Woods and the Village at Meadow Woods were built in the years 1983-2003. Builders included Scott Felder Homes, Fineline Custom Homes and others. These single-family residences are built on roughly 0.3-1.0 acre lots, with the typical size being 0.5 acres. Sizes of the homes (air conditioned living space) range from about 1,570 to 3,160 sq. ft. The homes feature 3-4 bedrooms (two have 5 BR), either 2, 2.5 or 3 bathrooms, 1 or two stories, and typically 2 garage space. Homeowners may have updated their homes through the years with new flooring, HVAC units, kitchen and bath updates, e.g. There are usually just a few homes for sale in this neighborhood in a given year. The homes have a septic systems and get water service from a private water company. The Plum Creek Golf Club is located just across FM-2770 from Meadow Woods. It is the only course in the Kyle-Buda area. Golfers of all skill levels are challenged by this layout. It has a clubhouse with grill and proshop, short-game practice area, putting green and driving range. 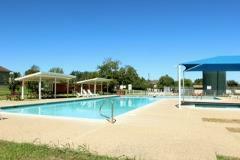 Meadow Woods residents can enjoy a swim at the community pool, or play some ball at the tennis or other sport court. Shopping developments include The Village at Kyle, Kyle Crossing and the Kyle Marketplace, all located on IH-35 on the east side of the Plum Creek subdivision. Big-box stores like Lowe's, Target, Ross, and WalMart are open for business, as are many other smaller stores and shops. Businesses just to the north in Kyle and Buda include Home Depot, Cabela's, and another WalMart and HEB. Southpark Meadows is located a few miles to to the north in South Austin. To the south are many opportunities in San Marcos (Premium Outlets, Tanger Outlet), New Braunfels and San Antonio. The primary medical care center in the Kyle area is the Seton Medical Center Hays. Membership in the Meadow Woods POA is voluntary. Those choosing to participate pay approximately $300 annually. As with other HOAs, the fees are used to take care of community common areas. Taxes are assessed by Hays County, the Hays Consolidated Independent School District, the City of Kyle and others. 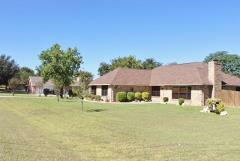 The Meadow Woods neighborhoods are located in the jurisdiction of the Hays Consolidated Independent School District. Before purchasing a home here, prospective homeowners and parents should cofirm the currently assigned school attendance zones with the Hays CISD.